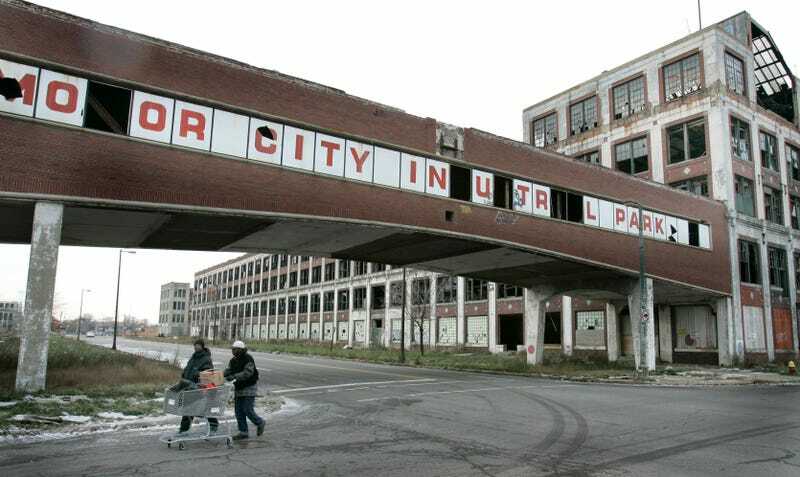 Layers of asbestos and the risk of severe head trauma from falling chunks of concrete be damned, gawkers from all over the world are hopping on charter buses to check out Detroit's second-most-famous ruin, the Packard Plant. Even if you've never been to Detroit, you know this guy, the old train station. But you probably don't know it's surrounded by a high fence with barbed wire to keep people out. It's still privately owned by the guy who owns the Ambassador Bridge. 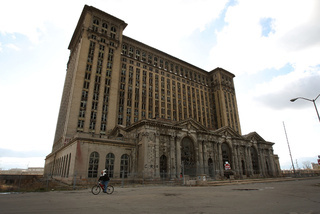 But the Packard Plant, which is currently owned by Wayne County and up for auction, is wide open. And has been for years. It's always been a site for underground raves, Banksy expeditions and other destructo-displays, but now people are just sort of walking through there in groups and taking pictures. Kinda lame, relatively speaking. But extremely dangerous nonetheless. One such group, Motor City Photography Workshops, charges photographers to explore the Packard Plant and other abandoned buildings. MCM points out that two other tourists at the Packard were carjacked recently, which might be the least of criminal activity there, what with all the scrappers, fires and drug activity. Still, none of that seems to be deterring curious onlookers.